Here's a great opportunity to enjoy some open water swimming before the ponds freeze over! Splash 'n Dash are offering a 4-session Open Water Swim Series 4 Wednesday's in a row starting Wednesday August 25. 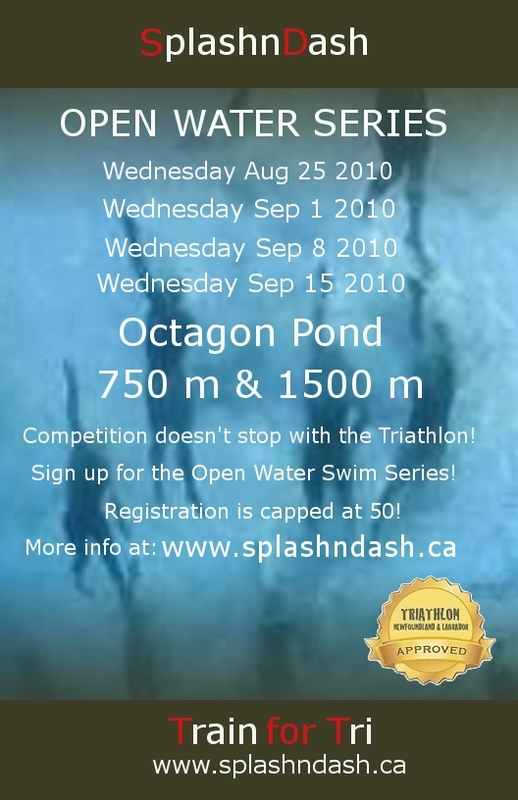 Swims start 6pm at Octagon Pond and swimmers have a choice of 750m or 1500m. More info and advance registration available HERE.